Comfortable, stylish, and functional sneakers are a key piece of every wardrobe. We took the time to research and find the brands that are making the best sneakers in the USA today. Below are our top recommendations, along with tons of details about each one and the factors we considered in our research. Enjoy! Through heavy research and careful product testing, we found 8 brands that are making the best sneakers in the USA. We broke out our top picks into different categories based on use, like trail running, walking, and just casual daily wear. To highlight a few standouts: companies like Hersey and San Antonio Shoes are making awesome casual sneakers, and brands like Carson Footwear and Softstar are leading the way for trail running shoes. Read more about our top picks below! For more footwear recommendations, check out our guide on shoes made in the USA. Below are deeper details on each of our top picks, along with what we liked and didn’t like about each one. No matter what your style is, you can find a pair of San Antonio shoes that work for you. 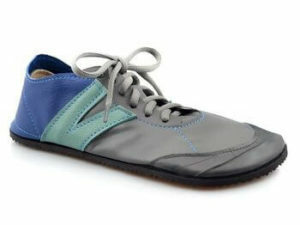 These shoes are designed to have the style that you like, while maximizing comfort as much as possible. It doesn’t matter if you just want a basic set of sneakers, some women’s dress shoes, a casual set of women’s shoes or something else entirely. You can get a good quality product from San Antonio shoes. The shoes come in different styles, but they are offered in a wide range of sizes for the best possible fit. San Antonio Shoes are produced with tough leathers that are carefully treated and designed to last through years of heavy use. They aren’t cheap, but they offer serious quality for the price. Carson Footwear is one of the premier trail running shoe suppliers in the United States, making them an easy pick for part of our best sneakers made in the USA list. At Carson you can choose between a wide variety of zero drop minimalist running shoes. Each of the shoes sold from Carson Footwear feature a built-in 5mm sock liner for supreme comfort. We love the tough polyurethane midsole and outsole that’s built to withstand heavy abuse while still maintaining a nice light profile for easy running. Every pair of shoes produced by the company is hand crafted in Milwaukie, Oregon and designed from top-grade materials that ensure longevity. The shoes come in a range of styles and sizes, but they all feature a signature lightweight build design, a high level of flexibility and a grippy sole for running on trails with confidence. We love these shoes for running outdoors with a more natural feel, and they’re a good starter product for those looking to get into trail running. 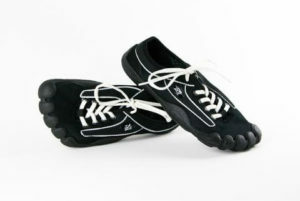 I think by now most people have heard of Vibram Five Finger shoes, and many people have probably tried them out. While those shoes are very comfortable, they’re also quite unattractive to look at. If you really enjoy toe shoes and you want a set that’s a bit more stylish, while also offering some added perks, Be Real Shoes is a good solid brand to work with. 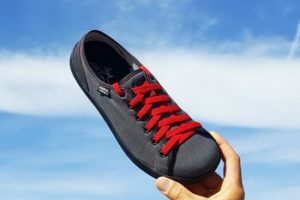 Not only does the company produce all its shoes with in the United States, but the company uses recycled materials to make extremely tough shoes. Each set of shoes sold is made from recycled rubber and with recyclable soles, making them a more environmentally friendly solution. The shoes feature indents for each of your toes, though the toes don’t actually separate during use. We really like all the different colors and styles there are to choose from, and we prefer these toe shoes for urban running and other tough running environments where added protection is important. The shoes offer excellent traction, and they have just enough space for a pair of American made socks to fit inside when sized properly. 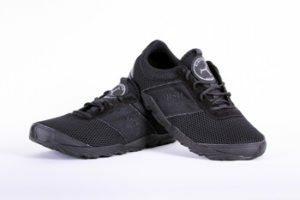 Hersey Custom Shoe Company produces carefully crafted shoes that are designed to make walking as comfortable as possible. These quality shoes are made in Massachusetts, and they are highly customizable so that you can get exactly what you need for maximum foot comfort during use. 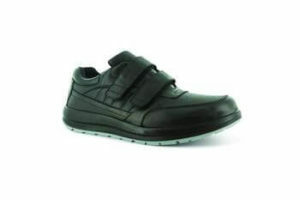 This tough shoe has a neutral style and a casual look but offers excellent support during use. We love the tough pigskin suede material used on the upper sole of these shoes. Each set of shoes made can be heavily customized to suit your needs. Choose the trim material, orthopedic correction options, outer sole material, and foot inserts for good solid support. These shoes are more expensive than most of the options on our list, but they are the most customizable and the most supportive of the bunch. 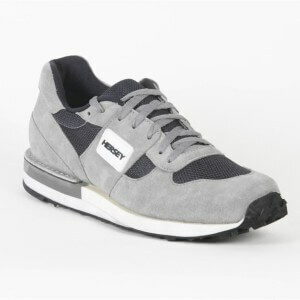 If you’re suffering from foot issues, these shoes from Hersey can’t be beat. When comfort is the most important consideration, the P.W. Minor Walker Strap II is the best shoe worth considering. It can be sized for length and width for the best possible fit. This shoe has a nice casual look to it and offers excellent style without looking too much like a traditional orthopedic shoe. PW Minor got its start as a women’s boot company in Interlaken New York, and it has an excellent reputation for producing top quality footwear with long-lasting durability. We love the simple design of the P.W. Minor Strap II shoe and the fact that it can be fitted with straps or laces depending on preference. Carefully choose the right size for your foot and you’ll enjoy a highly durable shoe. Enjoy that nice lightweight feel with a more casual look for everyday wear with the SOM Footwear line of shoes. These ultra-thin shoes have a minimal sole, and thin uppers for a highly flexible fit that will give you an almost shoeless feel when wearing them. We love the casual style of these shoes and how they fit in during most events nicely. Choose a shoe style that suits you well and wear them throughout the day. The shoes are available in three different thread colors, letting you customize them a bit more. They feature a generous sized toe box to minimize cramped toes and discomfort. When speed and performance matter most to you for cycling purposes, there is no better shoe than the products by D2Shoe. They are made from a tough synthetic material and wrapped in carbon fiber for added strength and style. The shoes are sized with precision for a skin-tight fit that’s comfortable and aids in athletic performance during active racing. 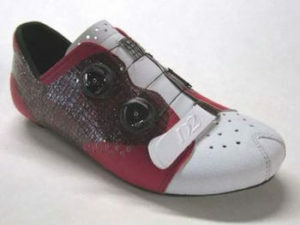 D2Shoe offers premier shoes that are a must-have for high-level cycling athletes, but they aren’t cheap to purchase. The shoes are available in six standard colors but can be customized further with 400 custom color options to choose from. We love the rigid feel that these shoes provide while wearing them, and really feel like we can transfer as much leg power to the pedal as possible during use for peak performance. The right shoe should fit your foot like a glove. That’s impossible to achieve unless you have a wide range of sizes to choose from though. That’s why all of our top picks have many different sizes to select from. We try to pick out shoes with both width and length sizes available, making it a bit easier for you to get the perfect fit. Before buying any athletic shoes, you should have your feet sized by a professional, so you know exactly what size shoe is the right fit for your foot. After fit, comfort is the most important feature of a sneaker, especially one that you plan to wear on a daily basis. We selected shoes that don’t just make use of soft materials, but that carefully plan out their inserts for the optimal level of comfort over time. The shoes are made to prevent binding or cramping when sized properly, and they feature soft-touch materials around where your foot is located. 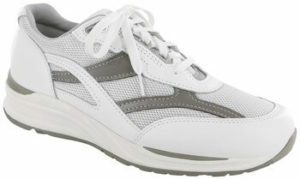 We also look for flexible sneakers that will bend naturally with your foot for an improved walking posture. We looked closely at material selection and chose options made from tough synthetics or thick full grain leathers for longevity. The high-quality products that we selected are often hand stitched and show off a fine attention to detail. Good athletic shoes are built-to-last and our selection includes some of the toughest options available today. Let’s face it, fit and comfort are important, but you won’t buy a pair of shoes if they are hideous looking. We always pay attention to style when selecting shoes for our list, and focused on the brands that look nice and have plenty of style options while still offering the fit and durability benefits as well. Our favorite shoes have a casual style while offering tough athletic performance. We want to make sure that you are getting the best sneakers for your money. We eliminated several brands where we determined that the price did not live up to the quality of the shoe.